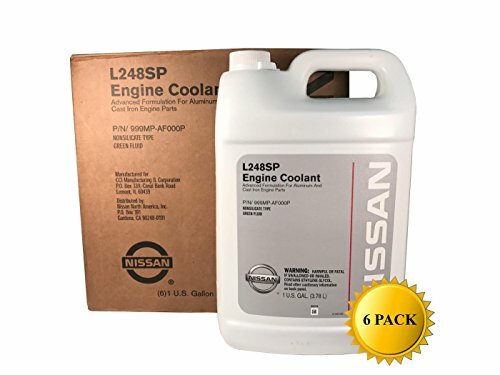 Genuine Nissan OEM Green Antifreeze/Coolant 999MP-AF000P (Case of 6) by Nissan at Beaver County Collision. MPN: 999MP-AF000P^6. Hurry! Limited time offer. Offer valid only while supplies last.